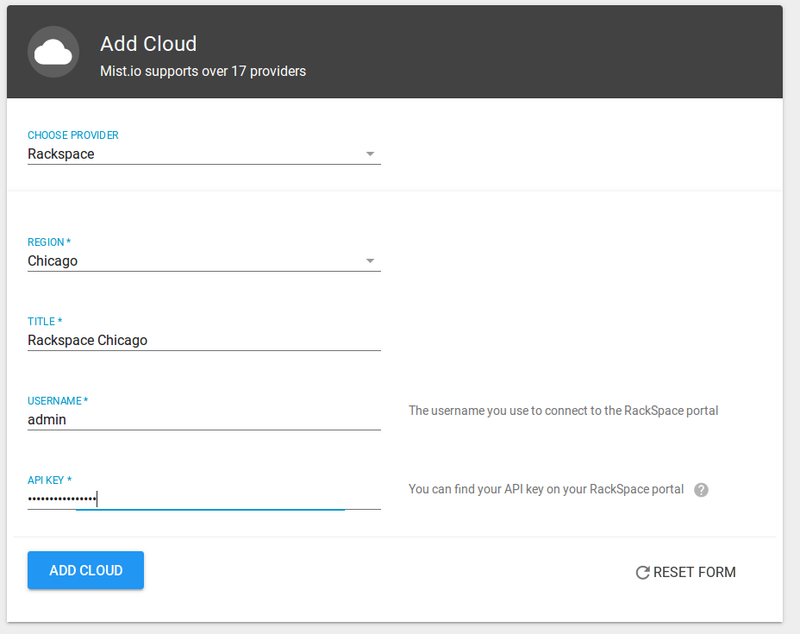 To add a Rackspace cloud, you'll need the username and API key. To obtain it, login to your account on Rackspace. Click on your name on the top right corner and select 'Account Setttings' from the drop down menu. In your login details you can see or reset your API key. Copy that key and login to https://mist.io. Click on the 'Add cloud' button. Choose Rackspace, select your Rackspace region and paste your Rackspace username and API key. 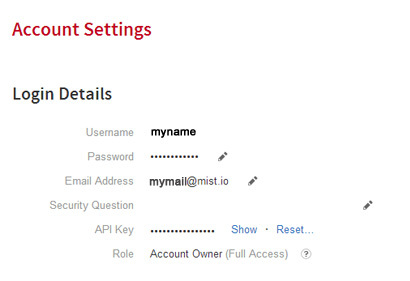 Once you click Add, Mist.io will try to authenticate with RackSpace. If all goes well, you should see a list of your VMs in the Machines section.